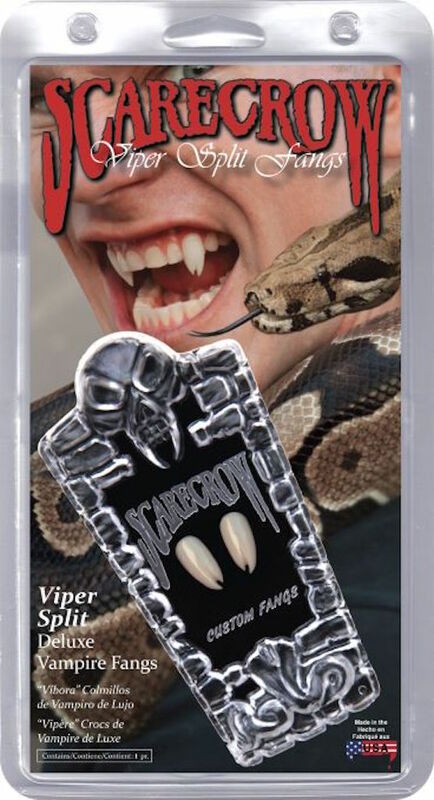 The Original Scarecrow Vampire Fangs – “Viper Split Deluxe Custom Fangs” are brand new, totally unique, and very wicked! Each fang cap is split into two prongs. They may fit either canines and/or incisors or bottom teeth. 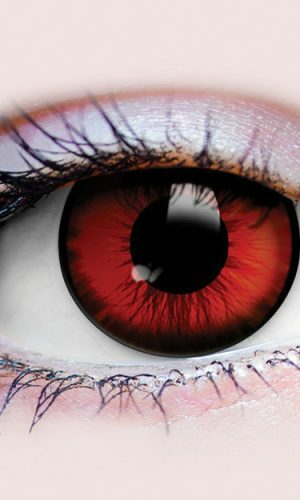 Fast, easy, comfortable, and totally realistic. Natural color fang caps are shiny, rigid and beautifully contoured to look great in any mouth. Also available in chrome (GLMVF600).